We have your basic jumpers, 2 in 1 jumpers, even jumpers with a water slide combo. Please take a look at our jumpers in la habra today. Planning a special event and need temporary shelter for your guests? Trust party rental place in La Habra to provide you with beautiful tent rentals. From simple canopy style tents to drapery tents we have the tent rentals to make your special event complete. Our tents can be used for a number of occasions from birthday parties, fund raisers to weddings. Call 562-690-2019 to book your appointment today. From snow cone machines to popcorn and hotdog machines we have what you need. 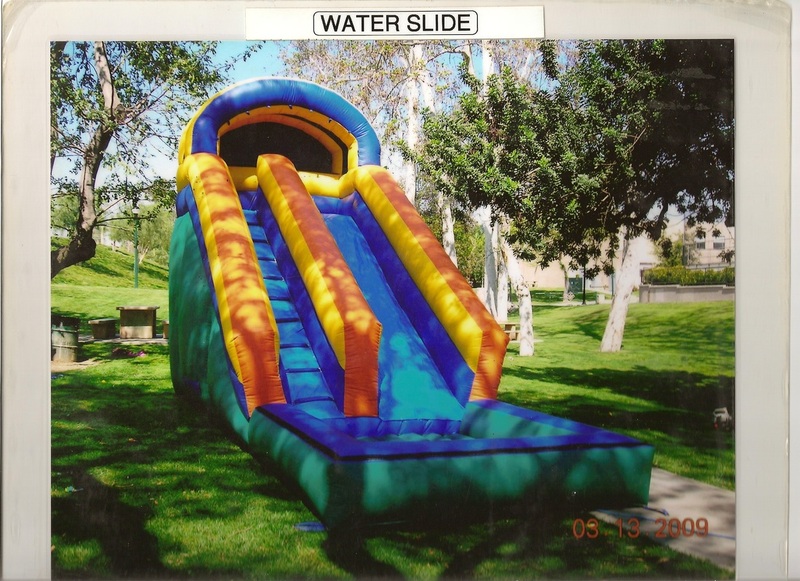 We have two water slides to choose from.